One of my favorite topics here, the public’s (and news media’s) misunderstanding of legal ethics and the function of lawyers, recently broke into the news with a crash as progressives saw Barack Obama’s constitutional law professor at Harvard and liberal icon Lawrence Tribe go before Congress and testified against the President’s climate change initiative, the Clean Power Plan, saying that it was the equivalent of “burning the Constitution.” This has been called every name in the book by progressives, from betrayal to greed to dishonesty. 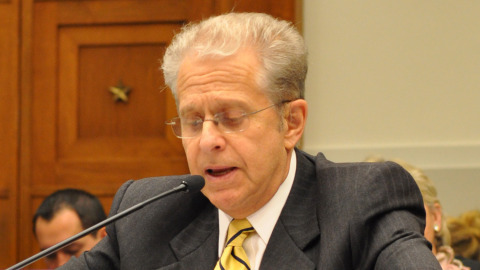 “Laurence Tribe must not have been sworn in over a Bible today before testifying before Congress, because if he had been, that Bible would have burst into flames after his phony testimony about EPA’s legal authority to set standards for unlimited carbon pollution from power plants,” said David DiMartino, adviser to the Climate Action Campaign.“But I guess we shouldn’t be surprised— a wad of coal industry money burning a hole in your pocket can make you do strange things,” he added. Indeed, Tribe was hired to represent its interests by Peabody Energy, the world’s largest private-sector coal company, and is the company’s counsel in a lawsuit that seeks to invalidate the EPA plan. That is what lawyers do, and what they exist to do: represent citizens and companies as they seek to avail themselves of their guaranteed right to use the law to protect their interests. The public and media just don’t get it, and appear to be immune from educating on the subject: what your lawyer personally believes about your cause doesn’t matter. His or her job isn’t to judge you or your purpose. It is to give you the chance to use your rights to due process and the courts to have the law work for you rather than against you, and to have your position, if legal, serious and offered sincerely, represented by the best legal talent available. Whether or not Tribe personally believes or supports the position being taken by his client is irrelevant to his role, unless he is so unprofessional (as in emotional and unable to overcome his own biases) that he can’t represent a client whose objectives he opposes. Then he would be obligated to refuse the representation. Then he would also be a poor lawyer, and Lawrence Tribe is anything but. On the Legal Ethics Forum, fellow law professor Stephen Gillers, perhaps the best known legal ethicist in captivity, wondered whether lawyers like Tribe, who have reputations as scholars, should be held to a different standard. The public will attach the prestige and respect of their scholarly work to their legal arguments, even though the latter are not necessarily the product of the former. The answer to Gillers’ musings is no. It isn’t just scholars whose names and reputations add persuasiveness to their positions in briefs, and yet it is the client, not the lawyer, who decides what result a lawyer will seek in court. No doubt: Tribe can charge more and his clients will pay more because of the misconception that lawyers really believe in the position they argue. Judges, however, who were usually lawyers themselves, aren’t typically misled. In the case of Tribe and the EPA, however, there is more to the story. The footnote to Tribe’s testimony says “Professor Tribe was retained by Peabody Energy Corporation to provide his independent analysis of EPA’s proposals as a scholar of constitutional law. The views expressed are his own.” He was therefore asserting before Congress that he sincerely did believe what he was saying, and that this was an objective expert opinion, not advocacy bought and paid for. That must mean that in this case, Tribe the lawyer agrees with Tribe the Constitutional expert, and his arguments carry the legitimate added weight of personal belief independently arrived at. If Tribe did not agree with the position he is to advocate for his client in court, then it would mean that his “independent opinion” presented before Congress was a lie. Thus the accusation that Tribe has compromised his principles for money isn’t just an unfair characterization of what a lawyer’s representation means. It is also an unfair attack on Tribe’s character, when in fact his testimony, whether one agrees with it or not, shows integrity and exemplary ethics. If he believes in the goals of the Obama Administration but still insists on holding its methods of achieving them to ethical and legal standards, that is admirable, if incomprehensible to ideologues whose mantra is the that ends justify the means. Just curious, no point of view here: how different is the UK system, in which as I understand it, all lawyers have some fiduciary responsibilities, in addition to the advocacy role, which I gather is 100% of a lawyer’s role in the US system? What are these fiduciary responsibilities? Lawyers do have fiduciary responsibilities when they are General Counsel, on a corporate board, or to the law firm if they are partners. For the most part fiduciary duties track closely with the legal ethics rules, except that the duties to clients trump everything else. I am not sufficiently versed in the UK system to make an informed comparison. Why? I’d say he’d be the best possible Obama appointee to the Supreme Court, but since he’s neither female, black or Hispanic, he’s got no shot. He’d better hang on to that job, too. I have a feeling that he’s not going to be welcome in many academic positions.